Joshua Gillmore is a private sector intelligence analyst who cuts through the data deluge to find answers to tough questions. He specializes in social network analysis, training and developing methods for social media intelligence, data driven decision-making, and intelligence analysis. Josh’s products range from social media security audits, advanced social media intelligence reports, online investigations, custom dashboards combining multiple data sources, social media for intelligence training, and consultations for designing in-house data mining and analytic practices. Since 2006, Josh has worked in data-driven analytics across several industries for Fortune 500 clients, non-governmental organizations, and government departments around the world. Current clients include the State Department, DFATD, Public Safety Canada, and a social marketing company. The current challenges occupying Josh are developing advanced analytic approaches to social marketing, politics, global security problems, international development projects, counter-radicalization, and public safety and emergency preparedness issues. 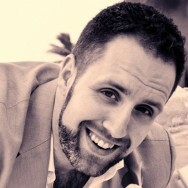 Josh holds a diploma in public relations from Algonquin College, a Bachelor’s degree in political science from the University of Ottawa, and a Masters in international affairs with a focus in intelligence and national security from the Norman Paterson School of International Affairs (NPSIA), Carleton University. On the side, Josh is a co-founder of a micro-granting organization in Ottawa called JustChange that accelerates great ideas through $1,000 bi-monthly grants to initiatives proposed by individuals or organizations that provide positive environmental, social and/or economic outcomes.